5.00 out of 5 based on 9 user ratings. Outstanding!!! One North, Christine and the entire staff gave us a memory of a lifetime. We had our wedding on September 29. We were so very fortunate to have a beautiful day, coupled with a stunning venue. Being a second wedding for both of us, we were especially selective. We wanted a wedding that provided a beautiful setting that was unique and elegant and provided an opportunity for family and friends to mingle and truly enjoy!! One North far surpassed our expectations. The staff was extremely pleasant, professional and thorough with attention to every detail. The food was amazing from the cocktail hour to dessert! The drinks were unique and so fun! Everything was delicious!!! Our guests cannot stop complimenting us on how great a wedding it was from beginning to end!!! We truly enjoyed our wedding and our guests because Christine and her team took care of everything as promised. There are no words to describe how happy we were that day. Everything was perfect! We highly recommend One North for anyone getting married!!! Incomparable!!! We couldn’t be happier or more impressed with how Christine and the entire staff at One North ensured PERFECTION on our Wedding Day.. May 27, 2018 My husband and I both received so many texts/emails/ phone calls to tell us how much our they enjoyed our wedding: “This place is gorgeous; the décor is stunning” “The food is out of this world; oh my goodness those sliders” “You guys hit it out of the park; everything is perfect” “I never tasted prosciutto like that, not even in Italy” “Every time I turned around the waiter/bartender was ready with my drink” “everyone is so nice” “oh that mozzarella bar you’ve been talking about.” Christine was fantastic! We met in Spring 2017 while the venue was still under construction. She was so enthusiastic and explained the incredible sound system/showed us pictures of furniture/ architectural accents/plans for the mozzarella bar and lush garden (where our ceremony was to be held). We were hooked! Well it poured the morning of our wedding. My husband and I couldn’t believe how AMAZING the inside looked. Christine made sure that it was even more beautiful than we had envisioned (having outside). Wow, it was incredible, it definitely exceeded all expectations for an indoor or outdoor ceremony. The staff greeted all of our, early, guests and the celebration began. The whole day was magical, beautiful and fun! All of our guests LOVED the cocktail hour/ passed hor d'oeuvres and mozzarella bar. I recall many of them saying, “I can’t imagine what’s for the main course.” That too was magnificent; Branzino, prime filet mignon, Chilean sea bass, Salmon, Gigli pasta Wagyu short rib. Oh, not to mention the delicious starter, Greek salad with octopus Carpaccio. Honestly, we could go on and on about the food and the ambiance and mostly the staff. Finally, Christine was the best, she was professional, knowledgeable, easygoing, attentive and LISTENED to what we wanted and made it happen. 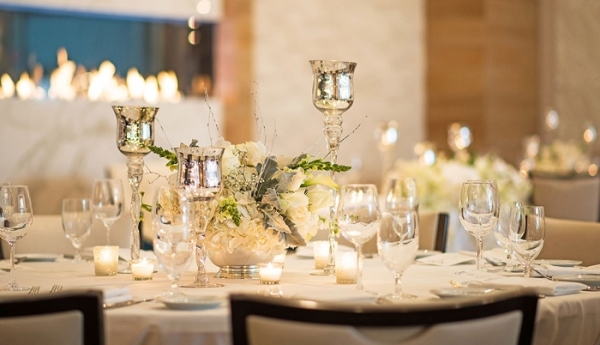 We would highly recommend One North for a classy, entertaining wedding with delicious food! Our wedding at One North was absolutely spectacular! Christine was very personable and efficient and made everything very easy and smooth! I had a smaller wedding (60 people) but we received the same service if not better as if we were a bigger party! None of my guests had to wait on a waiter for anything, the wine food laughter and love was just flowing. My guests even said this venue was the most tasteful and classy wedding they've ever been to! We had our ceremony in their gorgeous courtyard, the cocktail hour was elegantly setup outside as well and dinner and dancing in our own private party room with easy access to the rest of the restaurant, smoking areas, restroom, bar- you name it. The wait staff was super friendly and attentive too! PERFECTION! This place is just absolutely breathtaking. I wish I could relive this day again at One North! I wouldn't have been as impressed anywhere else and am so happy I had my wedding here! Thank you Christine and staff! You guys were fabulous! One North is the most beautiful and outstanding venue location. Christine was so accommodating and so easy to work with. She met every single one of our requests and made sure every moment and detail of the day went smoothly. The whole restaurant is just absolutely GORGOUES! The food is the best ever! And the service, omg, just amazing !!! One of the staff members Teresa was so attentive to me, it was like I had my own personal assistant on my wedding day. Our guests will not stop raving about our venue. We had our first look, ceremony, cocktail hour, dinner and dancing all at One North. We were able to utilize the entire restaurant and the outside area. There was a private dining room upstairs with a balcony for us to hangout in while guests arrived, there is also a gorgeous bridal suite on the main level where we freshened up and stored items. We did our first look outside by the beautiful trees and garden. I just cannot get over how amazing this place is. 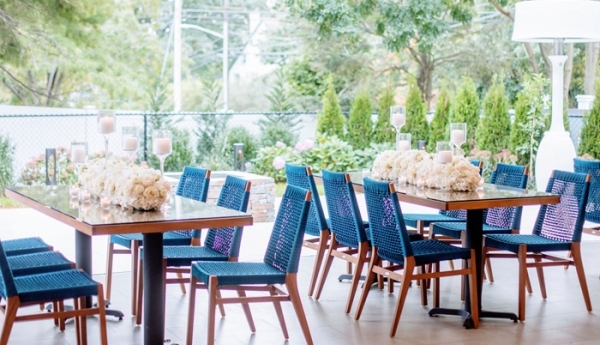 It’s not only the hottest new restaurant on Long Island, but the PERFECT wedding location!!! 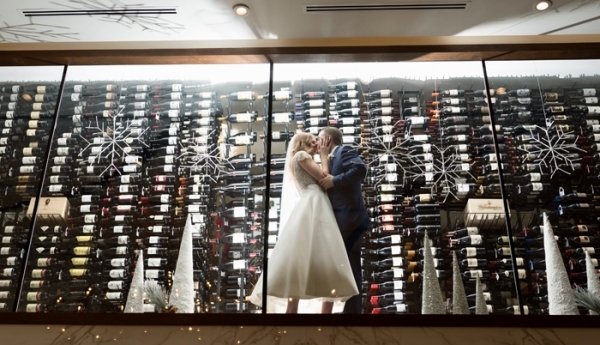 Can you imagine your wedding at One North? This extraordinary new dining experience from Anthony Scotto features dramatic spaces, with an endless panorama of glass offering gorgeous views of lush, landscaped gardens, a suspended wine loft and an open kitchen. 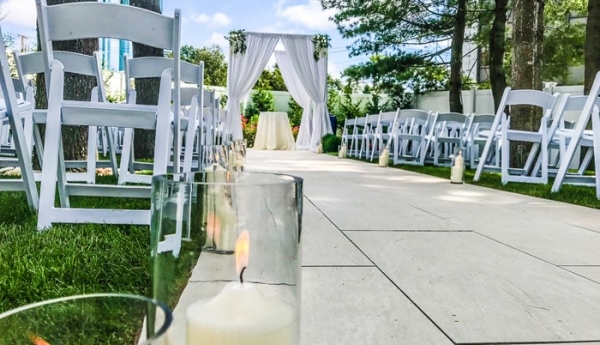 With its textured, modern design coupled with award-winning food and renowned service, One North will take your wedding in a refreshingly different and unexpected direction. Offering refreshingly different weddings & celebrations at a venue that is exclusively yours for the day. One North is the newest addition to the amazing Anthony Scotto restaurants (Rare 650, Blackstone, Insignia). 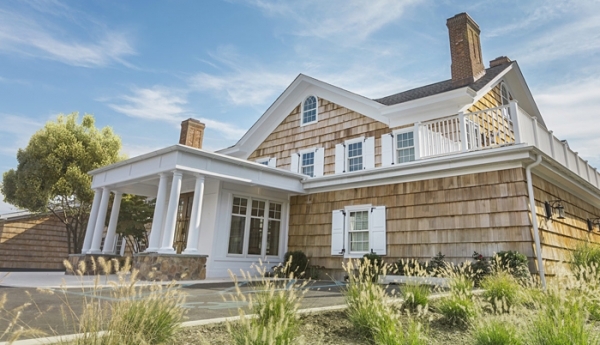 One North was created to offer a Mediterranean feel in a completely re-imagined North Shore Mansion. Amazing menu choices with impeccable service makes for an extraordinary event. 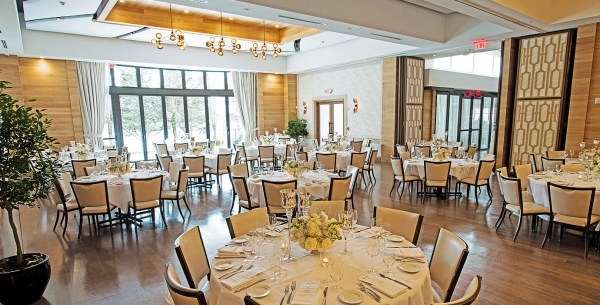 Visualize your wedding in a completely re-imagined North Shore Mansion that’s exclusively yours for the day with dramatic dining spaces and an endless panorama of glass providing views to lush landscaped grounds and outdoor terraces. We are a restaurant that specializes in Mediterranean style fresh whole fish, handmade pasta, raw bar and prime steaks and chop. 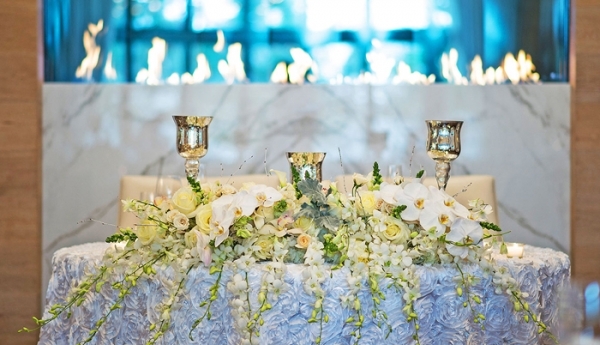 We host one wedding at a time and offer exceptional cuisine and service like no other venue. 4. What sets you apart from other Restaurants and Reception Locations? We are an a la carte restaurant, not a catering hall. All of our cuisines is prepared fresh, daily, nothing is served frozen or out of a box. Our seasoned staff have more knowledge of fine cuisine and wine than your typical catering staff. The servers that work in our a la carte restaurant cater to all of our private events. We only host one event at a time which allows us to focus solely on the bride and groom that day. We spare no expense in our restaurant. The sky is the limit at One North. With our talented Private Event staff we help turn the bride and grooms vision into reality.